On this page I attempt to answer some of the fundamental questions associated with flying in ridge lift. I predominantly relied on ridge lift to fly my first radio-controlled gliders when I was ten or eleven years old, and I still find it the easiest form of lift to understand. That does not mean that soaring in ridge lift is either easy or safe. After all, several of my R/C gliders ended in crashes along a ridge. This experience has taught me great respect for the two key ingredients of ridge flying: the mountains and the wind. Soaring in ridge lift requires a much closer proximity to terrain than soaring in thermals over flat land, and there is not much room for trial and error. 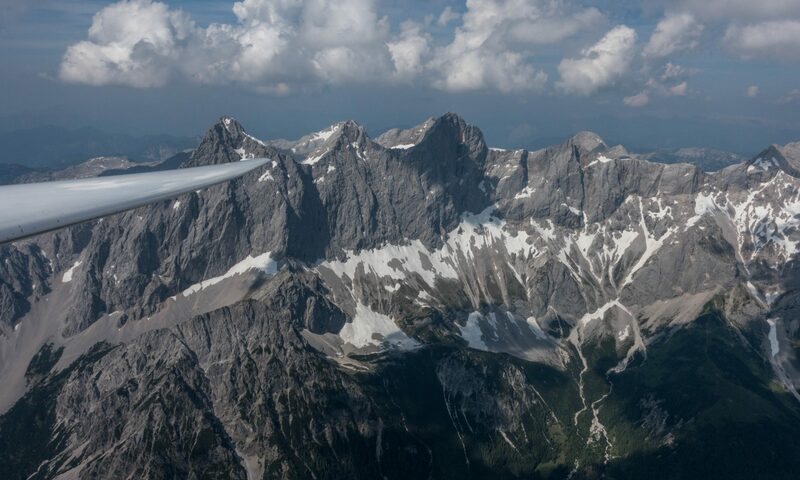 Understanding and internalizing the interplay of mountains and wind is therefore not just helpful for a successful flight – it may even safe your life. My answers to these questions are largely based on my study of various text books (listed under the tab “bibliography”), discussions with other pilots, Internet research, and my own experiences. Here’s my list of questions. Click on any of the following links for more details. Why is there wind, anyway? How can I know the direction and strength of the wind? How can I use ridge lift for cross-country flights? What are the risks of ridge flying and how do I mitigate them? How can I forecast ridge conditions? The following video (not mine) is a nice example of what ridge flying looks like.